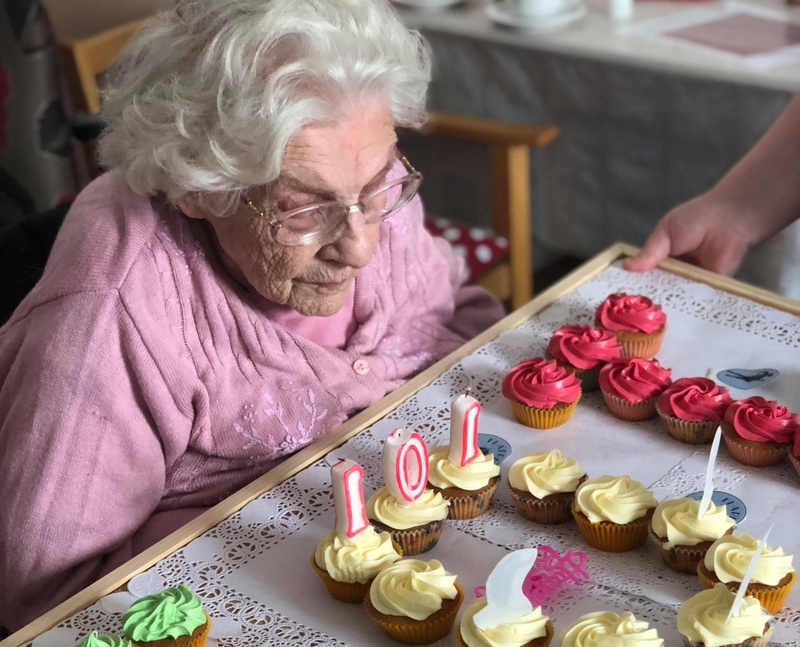 Edensor Care Centre celebrated a very special birthday recently when one of their residents turned 101. To celebrate the special occasion staff at Diagrama’s 50-bed care centre in Clacton-on-Sea held a 1920s-themed afternoon. There was a photo booth filled with 20s themed props, a selection of cakes covered in vintage decorations, and Charleston music playing throughout the day. There were also many photos of our resident in her younger years around Edensor. Edensor Activities Co-ordinator Vikki Whale said: “This was a very special day for our resident and her family, and we wanted to make it very fun and enjoyable for everyone involved. It is important to recognise and celebrate events like these as it helps bring residents and family closer together. Edensor also held their monthly Pamper Day, run by volunteers who use their skills to provide a host of free treatments for the elderly residents and members of the public to enjoy. Aromatherapy, Reiki healing, nail treatments and foot spas were offered free of charge in the care centre’s new indoor sensory garden area. If you or someone you care for would like more information on Edensor’s monthly pamper days, please contact our team on 01255 423317 or email Edensor@diagrama.org for more information.